With this in mind, the most dynamic aspect of the peoples struggle against the maintenance and expansion of the Prison Industrial Complex is our current movement to abolish SHU torture units in America (and around the world), initiated by the Pelican Bay D-Short Corridor Collective. With the resolution of the historic "Agreement to End Hostilities," the cooperative efforts of People from diverse cultural groups, socio-economic backgrounds, and schools of thought and the sacrifices of thousands here in California (and around the globe) in three Historic Hunger Strikes (the third being the single largest in human history) the People have seized the moral high ground on this issue, drastically narrowing CDCr’s base of support and room to maneuver.. .but not eliminate it. The reactionary view of reality shuts its eyes to its own authoritarian contradictions and the conditions of the people. Political reaction reflexively makes use of those social forces that oppose progress; it automatically consolidates to defend its dominance over the People’s lives. Instead of capitulating to progressive social forces and ending torture in SHU units, the state has closed ranks and seeks to redefine the nature of the conflict itself by redefining the language (i.e. semantics) in its policy governing STG validation and torture unit confinement. In true reactionary fashion they've adopted language that reduces (and in some cases eliminates) its burden to establish a factual basis of genuine criminal behavior on the part of those subject to these policies, while simultaneously increasing the burden on prisoners, and the People, to avoid falling prey to these new regulations which in essence criminalize anything those “validated” as STG’s do, say, or think.... all with the explicit support of the courts. To truly understand the degree of political reaction at play here, we must first acknowledge the role of authoritarian institutions in U.S. society. Authoritarian society reproduces itself in the individual structures of the masses (through its economic system, ideology, and culture) with the help of authoritarian institutions (i.e. school, courts, church, prison, etc.). It thus logically proceeds that political reaction has to regard and defend these authoritarian institutions as the foundation of the state, culture, and capitalist civilization itself. Why would their public propaganda hype these serious and violent crimes as the focus of state interest, while the policy itself focuses primarily on criminalizing things which are in fact not crimes? The answer is as obvious as it is condemning: MOST PRISONERS VALIDATED AS “STG AFFILIATES” AND CONFINED TO SHU TORTURE UNITS HAVE NOT COMMITED ANY SUCH CRIMES WHILE IN PRISON, AND MANY HAVE IN FACT DONE NOTHING AT ALL. Never the less, the state must re-create a basis upon which the primary end of the SHU torture unit will not only be maintained, but reborn : The aim of breaking men's minds. However, the reactionary politician can not divulge his actual intentions in his propaganda. We doubt if anyone (even other reactionaries) would have responded positively to a CDCr statement of intent to break some men’s minds, brainwash others, and indefinitely torture the rest. In political propaganda- which much of this new STG policy is -it is a question of producing a psychological effect in masses of people. In you. One that seeks to legitimize what is clearly the maintenance of torture by another name, and your support for that legitimacy. Let's take a look. The First Amendment prohibits any regulation “Abridging the...right to peaceably assemble, and to petition government for a redress of grievances,” yet again CDCr seems to have not gotten the memo. In the circuitous logic of irrational authoritarian man they seek to create new laws to protect their capacity to violate established law. Organizing to resist state-sponsored torture is not a crime. So again we ask you, why does CDCr’s “Initial Statement of Reasons” cite this litany of serious and violent crimes, yet its regulations focus on activities and matter which are not themselves criminal? Under the language in this policy CDCr can (and surely will) criminalize anything prisoners- and some of you in ‘society’ reading this now- say, think, or do. The only “safe” activity we may possibly engage in is exiting our cells and taking a breath... however, if one were to take 2 deep breaths, one may be cited for “STG Harrasment-Directly or Indirectly,” because some CDCr staff person may be intimidated by how your breathing. To be sure, they’ve actually introduced an unspecific category of STG misconduct in §3378.4(a)(3)(M) termed “Unique Behaviors” that is actually whatever the state wants it to be. Yet as fundamentally contradictory and irrational as it is to criminalize activity and matter which is not criminal, to increase the magnitude of petty offences and observations which can land prisoners in a SHU torture unit; what's equally offensive is they've actually lowered the bar for themselves in proving if such matter is actually “STG”- related. If you go to p.23, at §3375.3-CODE G, CDCr can establish STG association without having to show direct contact with a validated STG affiliate. Exactly how anyone can rationally demonstrate how someone is associating with someone else without having to show they've associated at all is mind boggling. Yet, if we move to the new language on “Direct Links” (for validation purposes) on p.35 we find that unilateral action by either party is sufficient to demonstrate a “direct link” to an STG, and CDCr staff need not establish that the subject knew the other was ‘validated’ as an STG, or knew each other at all. Under this rubric, any of you reading this right now could write an N.C.T.T. coordinator here in Corcoran or at Pelican Bay SHU, having never met or known us outside of reading this article, and find yourself "validated" with a “direct link” to an STG. Does this strike you as a means to combat “homicides, narcotics trafficking, and extortion,” or a means to combat political progress, to criminalize and sanction segments of the population who’ve exposed and damaged their inhumane agenda politically and socially? Throughout the regulatory language there has been a great emphasis on “criminal STG behavior,” even making things which are not behaviors “behavior” (clothing, artwork, handshakes, etc.) -yet contradicting this all, on p.35 they create a loophole for themselves (just in case the STG Disciplinary Matrix isn’t enough) stating placement in SHU/SDP, or validation as an STG affiliate, does not need to occur with behavior, “source criteria” alone is enough. To be sure, though they contend they’ve put a 4 year cap on the “age” of “source criteria” (information) used for STG purposes, they have included another loophole for themselves on the same page which actually expands the time frame for using “source criteria” to “anytime in the individuals personal STG history.” How they are able to assert such contradictions under color of law is a riddle which should concern every citizen and inhabitant of the U.S... Unfortunately the answer to this riddle is even more disturbing. It is the fact of judicial collusion which allows for such abuses. For example, CDCr has made a great deal about the new provisions which are supposed to ensure confidential informants/information used to validate or place prisoners in SHU under STG regulations must be independently corroborated before it can be used. However, new §3321(b) (1) includes language which completely undermines this by stating, "other circumstantial evidence" may be used to “corroborate” confidential informants/information (1030’s). We have recently discovered “investigation” is sufficient “corroboration” under this “other circumstantial evidence” standard. In other words, they can have an informant say you had plans to blow-up a gun tower, and that informant becomes “corroborated” when they “investigate” this baseless lie. Under this logic, “corroboration” is just empty semantics. However ridiculous this sounds, they have no fear of the courts striking such an absurdity down because in a recent ruling on Brother Zaharibu’s 9th Circuit appeal, the courts took the position THE ACTUAL EVIDENCE DOES'NT EVEN HAVE TO EXIST - AS LONG AS THE RIGHT BOXES ARE CHECKED ON THE 1030 form, THAT’S “SOME EVIDENCE.” The evidence the 1030 is supposed to be based on does not have to exist at all. The ‘word’ of CDCr staff, according to the courts, is good enough for them. Mind you, this ruling comes on the heels of the third Hunger Strike, only days before recent legislative hearings on SHU torture units, and almost simultaneously as these regulations were being released. As it stands, IGI/Prison Staff can say anything on a 1030, check some boxes, and you’ll receive a 115 and a 4-year to indefinite SHU term in CDCr’s SDP-and the courts will support this. Judicial collusion in the maintenance of SHU torture units is long standing and pervasive in the U.S., and in California in particular, (see, Ruiz v. Estelle, Coleman v. Wilson, Madrid v. Gomez, In Re Castillo, Koch v. Lewis [AZ], etc.). Despite the massive public outcry against the perpetuation of SHU torture units in America, the 9th Circuit court (in apparent reactionary support of CDCr's maintance of the practice) is actually reversing progressive District court rulings when they favor prisoners subjected to long-term SHU torture. In In Re Griffin the District Court ordered CDCr, on three separate occasions, to release Griffin to the general population (G.P. ), or a less restrictive environment than SHU. After several moves to mock the court’s ruling, such as moving Griffin from Pelican Bay SHU to Corcoran SHU, which failed miserably after the District Judge toured Corcoran SHU and told CDCr they were not in compliance with the order, CDCr basically took the position they'd go to jail before they released him to the G.P.. The 9th Circuit finally weighed in. The Attorney General, representing CDCr passed on to the court some speculative information provided by OCS, and the 9th Circuit in essence took the position the District Court made an error by abiding by the Constitution in Griffin's case. The 9th Circuit Court rebuked the District Courts' findings that over 2 decades in the SHU, simply because one would not debrief, does in fact violate the Eighth Amendment. The 9th Circuit Courts position is that torture Is not cruel and unusual as long as it's a validated prisoner on the receiving end, and further held (based on whatever information OCS trumped up) that Griffin could “earn his way back into Pelican Bay.” They made no move to enforce the District Courts order to release Griffin to the general population or to sanction CDCR for repeatedly disregarding the order. That CDCr has been maintaining the largest collection of torture units in the U.S. is the best proof the courts will defend the integrity of authoritarian institutions before it upholds its own ‘law.’ Which is why it should come as no surprise that CDCr can assert in its “Evaluation of Consistency/ Compatability WithExisting Laws/Regulations” (p. 2) that: “The Department has researched existing statutes and regulations and has determined that these proposed regulations and has determined that these proposed regulations are not inconsistent...with existing laws”… then turn around and violate the very statutes it cites as its controlling language with impunity. To state that many of the provisions of this policy violate the 1st, 8th, and 14th Amendments is too obvious, and frankly too easy. Let’s go for the less obvious. The ‘Castillo’ settlement agreement expressly prohibits the use of such laundry lists for validation/SHU placement purposes. The ‘Castillo’ settlement agreement (CIVIL NO.C-94-2847) on p.7, at point 21 states, “Defendants (CDCr) agree that “laundry lists” shall not be relied on as a source item,” yet in spite of this they’ve added new provisions for additional “laundry list” classifications, such as ‘roll-call lists.’ CDCr’s regulatory semantics and the courts collusion in their maintenance and perpetuation must be seen for what they are: This is THE STATE’S-- response to the Protest Movement responsible for exposing its contradictions and inspiring resistance from multiple segments of society. As one apparatus of the authoritarian state becomes intransigent in the face of change, others leap to support it (in this case the courts, the Govenor’s Office, conservative mass media, and The Dept. of Justice) on a broader and broader basis giving the appearance of a shift back in the struggle for cultural hegemony in their favor. This, of course, results is a further deepening of the contradiction in the peoples character structure between reactionary and freedom loving tendencies; not simply among the broader masses but those actively engaged in, or supportive of, the struggle as well. However, such vacillation is insufficient to reassert continuity in the authoritarian order... or to halt determined spirits from actively seeking to transform the nature and structure of capitalist society and structure of capitalist society and it's institutions in America. Therefore, the state must resort to other measures: Enter the Step-Down Program. Now if CDCr were sincere in their assertion that “The SDP will be a individually behavior based program” one would need only “remain disciplinary free” for 4 years and be released to the general population in step-5. This however is not the actual intent of the SDP... subordinating the population to the authoritarian dictates of the state is. They also expect you to “follow all staff recommendations and directions,” as a part of “positive” SDP participation. Since we've already made a definitive analysis of the cognitive restructuring and forensic profiling components of §700.2 of the SDP and COMPAS assessment in 3 previous NCTT-Cor-SHU analyses, there is no need to do so again here. What is necessary for us to discuss here is why this duplicitous contradiction is so necessary to the state’s efforts to reassert political reaction in populations currently committed to progressive struggle. As organized resistance rises, so does a contrary process activate in direct proportion from the state: The ideological assimilation to the ruling class. However, such a process among the prison class and lumpen strata (where oppression is a constant of existence) is simply not as easily achieved as it is in the middle class. Consciousness, relatively speaking, is directly proportional to oppression. Couple this fact with the lumpen strata's desperate historic relationship to the productive system and the daily assaults on our humanity that all prisoners endure, and the prospect of conforming to authoritarian dictates, or being ideologically assimilated by mundane means to just accepting the role of oppressed man is simply unrealistic to say the least. Thus the need, the requirement, the mandate of the state that all prisoners subject to the SDP must submit to cognitive restructuring or face the prospect of continued indefinite torture. If we view the state’s response in these regulatory and judicial positions within their correct social, political, and historic context it becomes clear this is an automatic, reactionary gambit to reawaken contrary structural tendencies which lie active, dormant, or repressed (depending on your relative degree of political maturity) in all of us who've developed in the patriarchal-authoritarian miasma of capitalist America. Concessions in this struggle, on the part of the state, have thus far been superficial and cosmetic. The view of authoritarian institutions is power does not concede-it compels. We have demonstrated here how these policies and judgments are a collection of contradictions justified by lies. As resistance to the dictates of authoritarian ideology continues to spread and flare across the surface of the American social structure, truth begins to intrude rudely upon the hypocrisies and irrationalities at the foundation of authoritarian society. The lines between the socially hostile microcosm of prison and the politically reactionary macrocosm of society are being blurred as progressive activists across the spectrum begin to join hands across the walls with progressive and Revolutionary prisoners, producing new social relationships, new political perspectives, and moving toward truly Revolutinary (i.e., rational) character structures and ideology. As we speak, ideas, rational ideas based in truth, like the Sustainable Agricultural Commune, the Pelican Bay Human Rights Movements' First Amendment Campaign, and the Agreement to End Hostilities are finding resonance among the People, and taking root in communities in society at large. These ideas are influencing -to a greater or lesser degree- the mass psychology in America, and the state must move to stop it, to prevent these ideas being fully manifested into a social force of even greater transformative quality. Power thus reveals its nature in its contradictions. With all this in mind, state Assemblyman Tom Ammiano has sponsored a bill to cap “administrative” SHU confinement to a 3 year determinate term. We’ve no doubt Mr. Ammiano is sincere in his genuine desire for progressive change. However, CDCr, and the state they both represent, is not. As we’ve demonstrated here, semantics is as viable as reality to the state. If there is no explicit language stating the bill applies retroactively, those who’ve been here for 10-40 years will have to spend another 3 years here. CDCr can take the position, the SDP is “segregated housing” and not SHU (though it is none the less in the SHU and your torturous living conditions are no different) and continue to hold you in the SHU for another 5 years to forever. Because the bill speaks exclusively to validated SHU prisoners, with this new regulatory language in mind, which manufactures an entirely new reality for “behavior” (transforming non-criminal activity and matter into “crimes”), it’s a simple matter of having validated prisoners housed in SHU issued repeated petty 115's-which could hold prisoners in SHU indefinitely. SHU torture units are real, the human misery they are responsible for is real, and the intent of the state to maintain this practice is equally real. There are some of us, despite this bill, that the state is simply not going to release to a mainline. To be sure, these new regulations contain provisions whereby, “...STG affiliates who are… in segregated housing for non-disciplinary reasons with privileges associated... with step-4 if they have completed the SDP but were retained for non-disciplinary reasons.” In other words, you can jump through every hoop in the SDP, and if they feel you have too much influence, or for other Non-disciplinary reasons, they can keep you in step-4 (in the SHU) indefinitely (see “InitialStatement of Reasons,” p.12, §3044(j) through§3044(j) (2)(H)). With this in mind, if the legislature will not consider restoring the “Prisoners Bill of Rights,” perhaps at least they will consider including contact visits for those housed in SHU for non-disciplinary reasons? 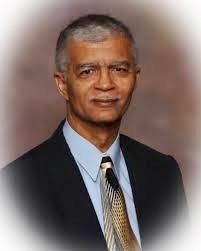 The feeling I felt this day, the elation, love, and unity has never left my mind, nor did this tall, wise, slim man who invoked it in me: Chokwe Lumumba. I loved him, I still love him – and I will always love him. I have always, by writ of my social experiences and development, been imbued with revolutionary potential - but it was Chokwe who inspired me to try and fulfill that potential – to translate these ideas into a social force.